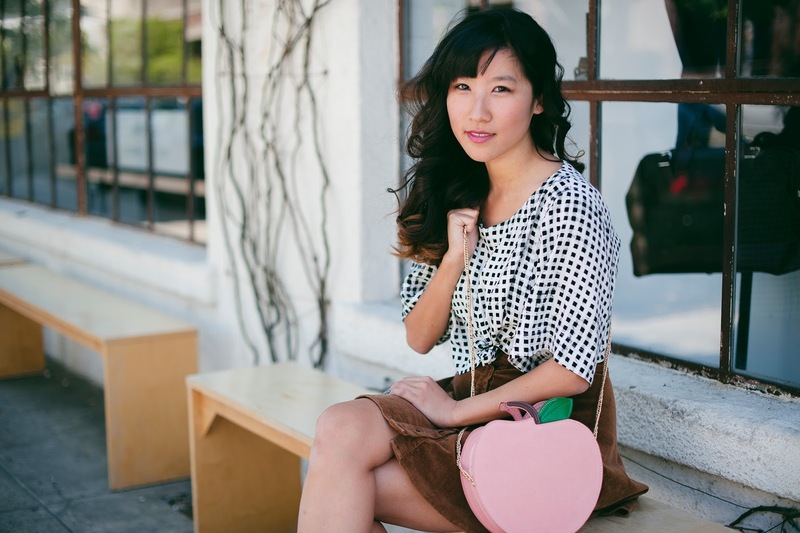 My love for quirky bags continues with Nila Anthony's adorable peach bag. Throwing in some grid action to add more dimensions to this otherwise pretty muted look. We took these strolling around the Arts District in DTLA and the charming area was the perfect backdrop for my whimsical outfit. such a lovely look! love the accessories, the heart shaped bag and the chunky white platforms are standout.